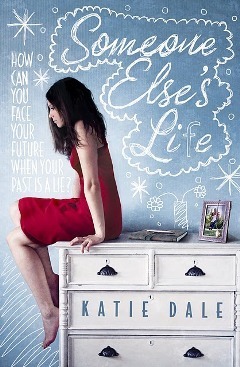 Today I have the wonderful Katie Dale, Author of Someone Else’s Life, on the blog discussing the soundtrack of the book should it be made into a movie. There are some brilliant choices on here and I’ll pass you over to her to find out more! Ever wondered what the soundtrack to your favourite book would be if it were a movie? the soundtrack to my debut YA novel, Someone Else’s Life… Enjoy! lost her mum. She gazes out on the snowy landscape and just wishes you could escape from her life. pouring rain on Brighton seafront. America in search of answers. atmosphere they dance to New York, New York with thousands of others. Feels Like Home – Chantal Kreviazuk. This is brilliant, thank you for this Katie, that cover for Wherever You Will go is beautiful and I’ll never stop loving Iris by Goo Goo Dolls! I would love to see this book as a movie! You can see more about the book here and read my review here. You can visit the next stop on the blog tour tomorrow at Jenni’s blog Juniper’s Jungle. I also thought I’d share with you the awesome book trailer below! nice variety there and i have to give a big grin face at RDJr on the list. So many songs on this list that I love, fabulous soundtrack!